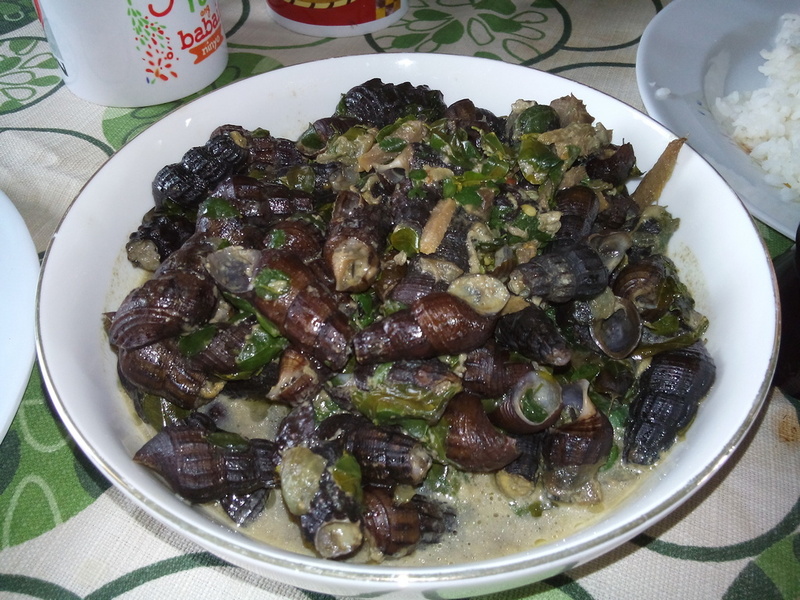 Ginataang Pilipit na Suso or twisted snail with coconut milk. These snails are commonly found in river streams. Before you cook it, you need to cut the pointed part because eating it requires sucking it out of the shell.